URLs are simply a way for you to present information you're gathering about your contacts in a nicer way. Let's say a contact has signed up to receive your marketing by filling out one of your lead generation forms. One of the cool things you can do is see when a contact is on your website and interacting with your brand/business. "Joe Bloggs just visited http://www.yourwebsite/pricing/2015_pricing/app_price"
"Joe Bloggs just visited your Prices Page." Friendly URLs help you turn your long complicated URLS into nice easy names that anyone can understand. Go to your Settings module (by clicking on the Settings item in the dropdown menu underneath the user picture top right of your screen). 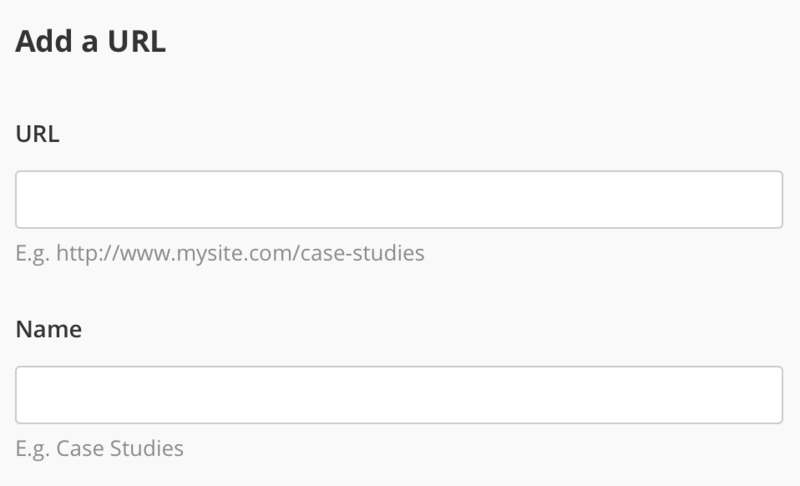 Then select the Website item in the submenu and then the URLs item in the dropdown. You'll then be fired over to the URLS page. Simply click the Add a URL button and fill out the slide in form for each URL you want to register.